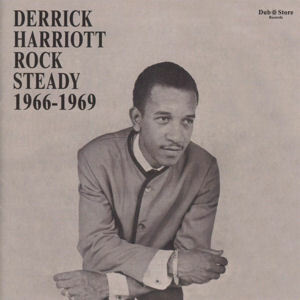 Very nice collection of Derrick Harriott from Crystal productions from the mid/late sixties. This CD contains classics, Stop That Train and Tonight by Keith & Tex, instrumentals such as Step Softly by Bobby Ellis and Illya Kuryakin by Ike Bennett and the Crystalites. Hits from Derrick Harriott, The Loser and Do I Worry, his version of The Four Tops hit Reach Out I'll Be There. Collector's item like Junior Soul's Glendevon Special and Keith & Tex's Run To The Rocks. Today, Derrick Harriott is still involved in the music business and run's his record shop, One Stop Records & Video at Twin Gates Plaza on Constant Spring Road, Kingston, Jamaica. Informative booklet by Noel Hawks and very good sound quality make this an excellent CD. Issued on Dub Store Records DSR CD 008 Japan.